A project is a part of the curriculum that involves children in investigating objects and events around them that are worth knowing more about. Project work is a way of uncovering a subject rather than just covering it. A project on wheels has the potential to involve the entire class, the children’s families, and community members. All phases of the project can offer opportunities for activities related to the physical sciences, engineering, social studies, language arts, mathematics, fine arts, and physical development and health. The topic of wheels could work well with young children who have done projects and those without project work experience. This Project Guide outlines some of the possible steps that teachers might take to engage preschool-age children in projects about wheels. This guide offers a variety of ideas for investigation activities, but these are only suggestions, not “recipes.” Not all of the suggested activities are necessary for the project to be interesting and enriching. Much depends on the time available as well as the children themselves. Many other worthwhile experiences are possible—and children are likely to come up with ideas about what directions their study might take as the project progresses. It’s difficult to imagine our world without wheels! Young children are likely to be familiar with several kinds of wheels. Most children arrive at school by bus, car, or other form of transportation that uses wheels. Most children have played with toys that have wheels or have ridden on a tricycle or scooter. Many children have ridden in a wagon or shopping cart. Children may also have knowledge of wheels based on books or videos that people have shared with them. Just like doors or the things that we sit on, wheels are such a basic feature of life that most people, including children, may take them for granted. A project on wheels can help them form new perspectives on familiar items. Figure 1. Wheels are a basic feature of daily life. A study of wheels has the potential to go in a number of directions, depending on the ages and interests of the children. Some children may want to find out more about wheels on vehicles. Others may become especially interested in the tools and machines used to create and maintain wheels. Others may want to know more about jobs that involve wheels. The value of the project to the children can be greatly enhanced if the teacher remains open to these possibilities and is prepared to help them follow up on their interests. A number of wheels (on furniture, on bikes and toys, in analog clocks, inside machines, on vehicles) can probably be found in or near the preschool or center. Much of the children’s fieldwork can be done there if the group is not able to travel for site visits. Parents of children in the class, and other people who live near the school, may have items at home that could be investigated (kick scooters, model railroads, grinding wheels, etc.). Children might also collect data about wheels at farms, artists’ studios, offices, transit stations, the school district “bus barn,” amusement parks, and businesses such as car dealerships, supermarkets, or hardware stores. Museums that focus on science and technology or on local history may have a wide variety of wheels, such as pulleys, spinning wheels, mill wheels, and rotary-dial telephones, for children to investigate. Teachers sometimes hesitate to ask the people who own or work in such places if they are open to having young children visit. But our experience with project work indicates that when a teacher approaches them before beginning the project and explains the hopes and plans for the children’s investigation, the adults in charge of potential field sites are usually pleased to have a chance to talk about what they do and show what they know to children, parents, and teachers. People who make or repair bicycles, vehicles, furniture, small machines, and clocks and watches can be invited to assist the children with the project in a number of ways. It’s a good idea to find out if any of the children’s parents have knowledge they can share about wheels. The teacher might also check the Yellow Pages or the Internet to find local business or professional people who can help. Depending on the questions that the children ultimately ask, mechanical engineers and people who teach physics or geometry at a community college or university may be helpful during the investigation. Area businesses might be willing to lend the class small or lightweight wheels, gears, axles, parts of wheels, or related tools. Before starting a project on wheels, the teacher will need to consider how much space is available for some of the activities that children may want to try. For example, if they collect wheels and related items, they may want some shelves to display the collection. A small group that studies the behavior of wheels on various surfaces (gravel, sand, wood) may need a great deal of floor or playground space for ramps and pathways. Children may also need a special space to store models they create. The teacher may need to make changes, such as rearranging classroom furniture, for the duration of the project. Before launching the project, it usually helps for the teacher to start by taking a walk without the children, looking for wheels in and around the school building. Walking for a few minutes around the neighborhood might turn up some additional places where wheels can be found: a railroad station, a fitness center, an artist’s studio, etc. The teacher may also visit a variety of nearby businesses and offices to look at wheels on the items used or sold there. It’s a good idea to take a few photographs of the wheels to show the class. The teacher might also collect some specimens or artifacts to take back and show the children to provoke some initial conversations about the topic. Figure 2. Sharing wheels that the teacher has collected may provoke children’s interest in the topic. The web can help the teacher think about what he or she hopes the children might come to know and understand as they investigate the topic. The teacher’s topic web is also intended to be a reminder of the wide range of potential subtopics the children can investigate rather than an outline of lessons or activities. It includes relevant concepts, ideas, information, and vocabulary that the teacher believes are worthy of the children learning more about. For example, perhaps the teacher anticipates that the children will gain some general understandings about wheels: What is a wheel? What are some things that have wheel-like traits (a ball, for example) but are not wheels? Is a windmill a wheel? What about a wreath? A gear? What is rotation? What is rolling? Does the ability to roll determine whether something is a wheel? What are some ways that wheels are useful to people? The teacher might also anticipate the children will gain knowledge about specific aspects of wheels. For example, a teacher might expect children to encounter variations among wheels—size, diameter, thickness, structure (e.g., spokes, rims, cogs), materials used, number used on or in an object (bicycle, moving van, chair). Where can wheels be found? What parts and hardware may be associated with wheels (axles, cranks, bolts, lug nuts, etc.)? Depending on the children’s ages, interests, and experiences, the teacher’s topic web may include potential opportunities to meet early learning and development benchmarks in a wide range of curricular areas. For example, children may meet science benchmarks as they find out about the physical properties of wheels, the materials used to make various wheels, and the kinds of work wheels do. They might meet benchmarks related to activities such as measuring, comparing, sorting, counting, and making predictions. The project might also offer children opportunities to become familiar with jobs that are related to wheels. When making the topic web, the teacher may also anticipate that children will meet social-emotional benchmarks such as expressing curiosity, taking initiative, and solving problems cooperatively. Once the project is under way, some changes can be made to the initial web based on what the teacher learns about the children’s interests, understandings, and knowledge of the topic. Before beginning the wheel project, the teacher may find it helpful to collect some good reference books, magazines, and other resources related to wheels for his or her own use and to share with the class. A librarian can help with this process. A librarian can also help the teacher locate reliable Web resources on topics such as the uses and physical properties of wheels. It’s important to keep in mind that Wikipedia may be a source of basic information, but it is not a secure site and users are sometimes able to insert misinformation. Sharing nonfiction picture books with the children is likely to be useful during Phase 1 and Phase 2. Throughout Phase 1 and Phase 2, the children may be able to make use of encyclopedias, furniture or toy catalogs, and sale flyers from tire dealers, car dealers, hardware stores, or stores that sell inline skates and kick scooters. Slides or videos related to various kinds of wheels can also serve as reference resources during the first two phases of the project. Before the investigation begins, it’s a good idea for the teacher to decide how to document the project work during each phase. The overall documentation should “tell the story” of the project, so the teacher may want to set aside enough space on the wall or on shelves for displays that show how the children’s work progressed. Many aspects of documentation during a project on wheels will be similar to documentation for any other project. For example, children may record information through sketches and other drawings, note taking, photography, and audio or video recording of fieldwork and discussions. They may represent their data in a variety of ways to share with others. (For suggestions, see sections on Phase 1, Phase 2, and Phase 3 below.) As with any other project, the teacher can also plan to do his or her own documentation of the children’s work via note taking, photography, or videography. Ask them to collect some initial data outside of school. Invite them to share their recollections of prior experiences related to wheels. Visit nearby places where wheels can be found (as a whole class or in small groups). Create a topic web with the children. Help the children form subtopic groups. Involve families in the initial phase of the project. Provide each child with paper, a clipboard, and black markers or pencils to take overnight or over a weekend. Include a note asking the parents or caregivers to help the children find wheels—in the house, in the driveway, down the street, at a local park, or at a business. When the children return, invite them to share their drawings of wheels with classmates. They can share in pairs, small groups, or with the whole class. It often helps to first ask children individually what they want to tell the class so they can rehearse what they want to say. As the children talk about their drawings of wheels, it is likely that some of them will bring up related personal experiences. Seeing Max’s sketch of a bicycle wheel may remind Komal about the wheels on her cousin’s wheelchair. When Amaya hears Komal talk about the wheelchair, she may remember sitting on an office chair with wheels at the clinic. And so on! To further support children’s conversations, the teacher might recount a personal experience with wheels. Singing a song such as “The Wheels on the Bus” or reading aloud from a related storybook can also spark children’s interest in talking about their experiences. The teacher can invite the children to talk about things that they remember about wheels, preferably over a period of several days. Continuing to encourage memory sharing may help children who are slow to recall their experiences as well as those who may be reluctant to speak. Letting children draw or paint something that they recall about wheels is another way they can share their memories. The teacher can help the children label their work. These stories and drawings can give teachers a sense of what sorts of experiences the children have had as well as what misconceptions they may hold and what subtopics may interest them. During Phase 1, asking provocative or probing questions can help children think about wheels in new ways. Such questions might include: How can you tell that something is a wheel? What’s the difference between a wheel and a tube? What are some things you can think of that have wheels? What are some things that wheels help people do? The next step might be for the teacher and children to take a walk—indoors or outdoors—where they can closely observe some wheels. The class can take these walks in small groups if enough adults are available to supervise several groups. As an alternative, the teacher might take only three or four children at a time on a walk while someone else supervises the rest of the class. Each child can carry a clipboard, a pencil, and drawing paper for observational sketches. The adult can encourage each small group to pause and talk about what they observe. Children should have time to sketch wheels of their choice, take pictures, measure the height of wheels, notice what kinds of materials were used to make the wheels, and so forth. It’s a good idea for the teacher to keep a record of what children pay attention to, talk about, and wonder about during these initial observations of wheels. This information can help the teacher facilitate discussions among the children later. It can also be useful during the children’s webbing process and when they work with the question table (see below). Creating a topic web with the children is an important part of starting any project. The teacher may want to start the web about wheels after the children have shared several experiences, such as making memory drawings, hearing or telling stories related to wheels, or examining some relevant objects. Typically, the children’s topic web is created during group time. What are some things you already know about wheels? What would you like to find out about wheels? Who might help us find out more about wheels? What are some good places to visit to find out more about wheels? The children’s responses and questions can become part of their topic web. As the children say what they know, what they think, or what they wonder about, the teacher can write the words directly on the topic web paper or on sticky notes. The teacher can also use his or her notes from the children’s first observations of wheels to remind them of what they noticed or wondered about. Many teachers find that making a web can take more than one group meeting, depending on the children’s ages and their level of experience with the process. Children can also help the teacher organize their initial questions, comments, and ideas into categories. For example, if the children made several comments related to car and truck tires, those could be grouped separately from questions and comments about skateboards and inline skates. In addition to the children’s topic web, the teacher may want to generate a question table based on what the children ask. Some teachers post a large hand-printed question table on a classroom wall. Others prefer to create the question table as a computer document (Table 1). How do wheels stick on a car? Workers pound nails in to keep the wheels there. Is a wreath a wheel? Yes, because it looks like a wheel. No, because it can’t go around and around. It will break if you use it on a bike or even a toy. Do computers have wheels inside them? No, computers just have wires. Yes, because I can hear a wheel go around inside my dad’s laptop. Table 1. This portion of a question table includes some questions the children might ask about wheels along with some predictions about what the answers might be. For more information about making and using a question table during any project, see Lilian Katz’s blog entry titled “The Question Table” on the Illinois Projects in Practice Web site. Suggest other ways that the children might express their questions, such as drawing a picture of something they want to know more about. Encourage children to ask questions when their classmates report findings from fieldwork during Phase 2. Write new questions on the question table as the children raise them. For more suggestions about helping children formulate questions, see “The Project Approach: Helping Children Ask Questions”. Predicting possible answers and potential sources of information is another important part of project work that can begin during Phase 1 and continue throughout the project. When a child asks a question, the teacher might ask that child, or the whole class, “What do you think the answer might be?” or “Who might be able to answer that question for you?” or “What do you think the visiting expert will say when you ask her that?” Occasionally the teacher can ask “What makes you think so?” to encourage children to explain their predictions. Children may also want to make drawings that represent their predictions. Which books, videos, or other resources do they think might help them answer a specific question? If several children show interest in the same question about wheels, they can form a subtopic group to try to find answers to the question. The teacher can also learn more about children’s common interests through their memory drawings, their art work, and their dramatic play. Another approach to forming subtopic groups is for the teacher to ask a small group of children to focus on a particular aspect of wheels. For example, several children might want to find out all they can about the wheels on the school’s tricycles. Three or four others may be curious about wheels inside old clocks while a few might want to investigate how people install and repair wheels. Increase the chances that members of each group will be able to work well together by using knowledge about the children’s social relationships to help guide subtopic group formation. Work with each group to help the children decide what they might do to get the information they need. For example, a subtopic group that is interested in wheels on furniture will benefit from particular references, experts, and site visits. A group that is trying to find out about machines with wheels inside them will probably need to use different resources. Help each group locate resources to address its questions. Inform families about plans for the project (potential site visits, visiting experts, etc.). Include what the children have said and done so far about the topic. Encourage family members to make their own sketches and photos of wheels for the children to bring to school. Ask for specific help from family members. Are they willing to come visit the class to share interesting experiences related to wheels or to talk about making, installing, repairing, or using wheels for their jobs or hobbies? Suggest that family members help children recall some of their experiences related to wheels. Invite family members whose home language is not English to tell the teacher or teach the class words in their languages that are related to wheels. Suggest that, from time to time, parents informally ask their children to talk about what they have found out recently about wheels. Let families know how the wheel project can help children meet early learning and development benchmarks. Making site visits to places where they can observe a variety of wheels. Gathering data related to wheels at in school, at home, and in the community. Interacting with visiting experts about wheels. Creating collections of items related to wheels. Planning and participating in activities related to wheels that may help them meet benchmarks in language arts, math, social studies, fine arts, and physical development and health. Reporting by subtopic groups to classmates about what they have found. These activities are discussed in detail below. It helps to keep in mind that what follows are just suggestions. The children’s ages and interests, as well as the teacher’s experience with project work, will affect which activities might be most helpful and engaging to the class. A class may be able to conduct investigations of wheels without leaving the school grounds. There are probably many wheels in the classroom or right down the hall! Walking trips through the neighborhood or to nearby parks, homes, or businesses can also provide valuable opportunities to study a variety of wheels. If classes are permitted to visit sites away from school via bus or car—a car repair shop, a hardware store, a potter’s studio, a museum, or a mechanical engineering lab—taking such trips can also be worthwhile. The teacher might keep in mind that site visits should be made by subtopic groups as much as possible. When children in a subtopic group have decided what their questions are, the teacher can help them to decide where they might go to find the answers: A playground? A bike shop? A kitchen? They can also discuss who might be able to answer their questions during the site visit. Occasionally visit to a site, such as a museum, by the entire class can be helpful, particularly if enough adults are available to supervise the subtopic groups as they collect data relevant to their questions. If possible, it’s a good idea to arrange multiple visits to some sites because the first visit to a large place may be overwhelming for the children. On later visits, they may be better able to focus on details that they missed while still trying to “get their bearings.” Returning to a site provides a chance for children to ask additional questions and gain in-depth knowledge of what they are seeing there. When preparing for outdoor site visits, it is a good idea to remind the class of the usual safety procedures (use sun protection, stay on the paths, dress warmly in winter) for outdoor activities. Whether indoors or outdoors, it’s also a good idea to remind children not to litter and to always ask permission before they touch things or collect artifacts. Arrange for children to investigate wheels in a variety of indoor and outdoor settings—in school, on cars in the parking lot, at home, in businesses, in restaurants, in museums, and so on. Suggest that small groups of children focus on particular kinds of wheels, such as different wheels on a single vehicle or the gears and wheels inside a clock. Provide children with clipboards, paper and pencils, and digital cameras (if available). Offer magnifiers so children can take a close look at various textures, parts, and design features of the wheels they encounter. Give each group time to sketch and photograph wheels and parts of wheels. For example, the children might want to sketch many wheels found on a single piece of farm machinery so they can spend more time later comparing the similarities and differences among them. Provide crayons and paper for children to make rubbings that show surface textures of various wheels. Invite children to use surveys to find out how their families, classmates, and community members use wheels. Notice the structure of wheels. Are they always round? What holds their parts together? What holds the wheels in place? Do all the wheels on a particular object have the same size and structure? Notice colors, textures, and other properties of the materials that make up a particular wheel. Notice unusual or identifying characteristics of particular wheels, axles, and other related parts. List different types of materials that might be used to make a wheel or some related object. For example, a wheel might be made of both metal and wood, and some wheels have tires. Pay attention to the hardware and other materials (bolts, screws, glue) used to make or install a particular wheel. Think about what the “job” or work of a particular wheel might be. What does a steering wheel do? How does a wheel help the shopping cart go? Use a tape measure, Unifix cubes, or nonstandard measuring tool to measure such things as the distance between two wheels on an object or the size (diameter, radius, etc.) of a wheel. Keep a record of the number of wheels on a variety of objects such as a semitrailer, a mobile home, or a fire truck. Record their data on paper by sketching, writing, making tally marks, etc. Parents who use strollers, baby buggies, bike carts, rolling luggage, etc. People whose work or hobbies may involve miniature or toy vehicles (electric trains, slot cars, construction toys such as Legos or K’Nex, etc.). People who use recreational equipment such as bicycles, inline skates, handcycles, kick scooters, or skateboards. People who use wheelchairs and other assistive devices with wheels. Metalworkers, carpenters, potters, and other artisans whose tools and equipment may incorporate wheels. People who design, build, or repair the wheels used in vehicles, farm machinery, furniture, analog clocks, and sewing machines and other household machines. Physicists who are comfortable talking with young children about the science of wheels. Mechanical engineers whose research involves gears and other types of wheels and who are comfortable talking with children. Some experts may be willing to correspond with the children via email if they are not able to come to the school. Arranging the visits, perhaps with a few of the children helping to make an invitation or dictate an email message. Finding out if the specialist is willing to write back and forth to the children via email. Suggesting that children draw or dictate their questions for the expert prior to the visit. Helping children rehearse their questions to make the best use of the expert’s time with the class. Helping the children follow up with thank-you notes after the guest’s visit. Invite families to add to the classroom collection of wheel-related items. Ask owners of local businesses and offices to lend the class some wheel-related items. Set aside a specific part of the room where the collection can be kept. Note: During site visits, children will have opportunities to observe wheels and related items in use, which often means that dirt, grease, and other substances will be visible on them. However, items that are part of the classroom collection should be well cleaned and free of grease or other chemicals before children handle them. Of course, items in the collection should not have edges sharp enough to cut anyone. As children learn more about wheels during Phase 2, they may have questions that can best be answered through scientific explorations that they plan themselves with classmates or with the teacher. Such activities may include closely examining and working with items in the collection; designing, making, and testing wheel toys and equipment; and setting up experiments. Offer magnifiers so that children can examine the collected items closely. Ask them to describe what they notice: textures, colors, sounds, smells, etc. Invite them to sketch what they observe. Some children may enjoy the challenge of drawing extreme close-up or magnified views. When possible, let children use the items. For example, if the collection includes pulleys, children can work with them and then return them to the collection. Offer opportunities to take apart and reassemble some items, providing tools and supervision as needed. Help children look at and compare the different types of gears, rims, axles, and other small parts in the collection. Weighing and measuring items with balance scales, spring scales, rulers, tape measures, or nonstandard measurements. Adding their sketches and photographs of collected items to a display or book that tells the story of the project. Investigating questions such as whether all the collected wheels turn or roll. Designing, Making, and Testing Wheels and Things with Wheels: Some children might want to design their own toys or working models of things with wheels, giving them opportunities to learn the principles of design and engineering that adults use when they create or work with wheels. Figure 3. Some of the children may want to create models of vehicles. Provide paper so children can draw their initial plans. Ask them about the purposes of the objects that they want to design: What do you think you will do with the car you want to make? I see that you plan to make a steering wheel. What do you want it to steer? Or will it be a model that shows what steering wheels are like? Encourage the children to make constructions using commercial building sets (gear sets, Legos, Construx, or Tinkertoys) and wooden block sets that include cylinders. They can later dismantle the constructions. Offer a wide range of materials for making constructions that the children can keep, such as a variety of cylinders and disks (cardboard or plastic tubes, coffee cans, cookie tins, oatmeal boxes, cardboard and wooden disks, discarded CDs and DVDs), rubber bands, string, sticks, sections of dowel rod, pieces of untreated wood, wire, drinking straws, “boxes and junk,” a variety of blocks, a variety of fasteners (brads, nails, screws, paper clips, tape, glue). Invite parents or other volunteers to assist the children with tasks such as sawing, drilling, or nailing. Will a wheel ever roll by itself, or does something always have to give it a push? Which of these wheels will get to the bottom of the ramp first? How can you get a wheel to roll up an incline? How do wheels behave on different surfaces (a sidewalk, sand, gravel, grass, ice)? How do you stop wheels when they’re already rolling? What can you do with wheels to make a vehicle have a smooth ride? A bumpy ride? What happens when a wheel isn’t exactly round, smooth, or even? What might happen when the wheels on a vehicle aren’t lined up? What can happen when one of the wheels in a set of wheels (on a bike or shopping cart, for example) stops turning? Do some wheels roll faster than other wheels that are the same size but constructed differently? How do gears or pulleys work? (For an example of how one teacher facilitated children’s explorations and experiments, see “Magnets and Cars”. For some additional ideas about children’s investigations of rolling, see the Illinois Early Learning Tip Sheet “Playground Physics: On a Roll!”. The children may encounter some of the following words and concepts during a project on wheels. The teacher can help the class find definitions. As children begin to use the new terms, the teacher might facilitate class discussion about some of the words. “Kevin’s noticed a paddlewheel is made out of flat boards and wonders if it’s a real wheel. What do you think?” If some children seem confused about a term, the teacher might suggest looking it up in the dictionary or asking a visiting expert. Labeling field sketches and drawings. Labels can include the name of the object they have drawn, the various parts of it, and any other information they wish to include. Dictating or writing the “story” of what happened during a site visit or during an exploration or experiment. Their story can be displayed on a bulletin board or included in a class book about the project. Creating thank-you notes to guest experts, librarians, parent helpers, and others who helped with the project. Explaining complex concepts as the teacher writes their words. For example, an older preschooler might say “My pinwheel is like a fan” and the teacher could ask her to explain what she means. Reliable resources that address children’s specific questions about wheels, such the physics of turning and rolling. Sorting and categorizing tools, wheels, axles, wheel hardware, casters, and other artifacts. Making charts or graphs of findings. For example, compare the different kinds of wheels on chairs in the school. Investigating symmetry in objects with wheels. Using Spirograph-type drawing tools to explore relationships between gear sizes, shapes, etc. Playing with a “teaching clock” (sold in school supply catalogs) to see how clockwork gears operate. Setting up “race tracks” to compare the speeds of wheels or wheel toys of different sizes and weights. Selecting photos or sketches that illustrate comparisons among a set of wheels or related items, such wheels on several different office chairs or different types of lug nuts. Finding out how long it takes (months, weeks, days) to make a specific wheel, tire, or machine. Looking at resources that show a variety of wheels from the past and present. Compare what the wheels look like, what they are made of, and how people have used them. Listening to books or watching videos that depict various machines with wheels in or on them and the ways people may use them. Listing different ways that people in their families use wheels. Making maps or floor plans showing where wheels are located in some familiar spaces, such as the classroom, the kitchen, or the playground. Making group decisions by voting or consensus about places to go for site visits or how to display their data. What sorts of wheels do people have or use at home? At school or work? When they travel? How do wheels help different people do their jobs? What kinds of play or other recreation do they like that involves wheels? What kinds of wheels do parents like best on strollers? Let children play with a variety of wheeled riding equipment—wagons, kick scooters, tricycles, bicycles, pedal cars, coaster cars, etc. Invite them to talk about what their bodies must do to move, steer, and stop each one. What motions do they make? What parts of the body must work together? Encourage them to sketch or take photographs of each other riding the equipment to show how their arms, legs, backs, and other parts work to operate each riding toy. Ask children to try pulling a heavy load of blocks or books, first in a wagon or cart, then in a box without wheels. Which is harder work for their bodies? Which parts of their bodies have to work the hardest? Children may become interested in sports that involve wheels in a variety of ways, such as inline skating, skateboarding, and bicycle and auto racing. Some children may want to find out more about wheelchair athletes in sports such as soccer, basketball, and handcycling. Talk with children about wheel design. How does it feel to ride a tricycle with solid wheels compared with a tricycle or bicycle with air tires? What would it be like to ride in a car with solid wheels? Let children explore the different safety features involved with wheels, such as brakes, fenders, or wheel wells. What do brakes do? What happens when you ride a tricycle or bicycle without a fender in the rain? Why do certain vehicles have mud flaps? Help the children find a guest expert to answer their questions about wheels and safety. Show the children artworks (book illustrations, photographs, paintings, sculptures) that realistically depict wheels and related objects. Offer crayons or chalk and paper so children can make rubbings or tracings of tire treads, hubcaps, gears, spokes, and other related items. Provide paint rollers, casters, rolling pins, and other cylinders for children to dip into paint and roll across sheets of paper. Offer a variety of toy wheels and tires so they can make “tire tracks” with paint. Invite them to compare the marks made by different objects. Set out clay or modeling dough and let the children use rolling pins, rotary clay cutters, or a clay rolling machine as they work with it. Invite children to talk about aesthetic elements in the design of various wheels: What do they find “beautiful” and appealing (or unappealing) about certain wheels? Have any of them ever decorated the wheels on a tricycle or a bike? Invite older preschoolers to think about ways to address the problem of representing the movement of wheels. Many artists find this to be a challenge! Share CDs that feature classical, folk, or popular music related to wheels. Play 45- and 33-rpm records and let children observe the discs and the record player. Help children locate and learn about music boxes and musical instruments that incorporate wheels, such as the hurdy-gurdy and the bicycle wheel “guitar.” Teachers could use an Internet search to find images of these instruments. Ask children about sounds they hear related to wheels (the whirring of a fan, the rush of tires on pavement). Invite them to try to describe or duplicate those sounds with their voices, found objects, or musical instruments. Interview artists, musicians, dancers, filmmakers, and actors to find out how wheels are useful to them in their work. For example, many guitars have special gears to help the musician tune the strings. Have the small groups or individuals briefly rehearse what they want to say before they report. Give an introverted, shy, or reluctant child a chance to talk about what he or she has observed. 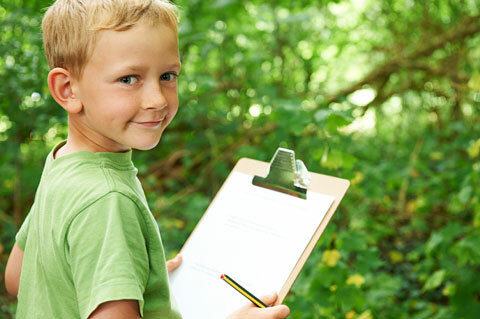 Encourage children to share relevant field sketches or photographs as they report what they have found. Refer children to the question table: Does a subtopic group’s report include some answers to earlier questions? Keep families posted about what the children have been finding out during their fieldwork. Create some homework to encourage families to investigate wheels together at home and in their neighborhoods. For example, children and parents could make sketches of the wheels on the family car or keep a tally of how many two-wheeled vehicles they see on the street. Invite family members to help with site visits or to supervise and assist children who are doing experiments. Ask family members whose work or hobbies involve wheels to serve as guest experts. Invite family members to show the children some “adult” task related to wheels, such as changing a tire, opening a can with a can opener, or making a ceramic pot using a kickwheel. Ask families to send in clean “reusable” items for children to use during the project (unwanted CD-ROMs, empty spools, cardboard tubes). Invite family members to check out the wheel project displays in the classroom. Have children ask their family members survey questions about wheels (“Did you ever change a tire on a car?” “Do you have furniture with wheels?”). Let each child check out a wheels-related book from the classroom library to share with family members or send home a list of children’s books that families can look for in the public library. A project about wheels might last from three weeks to three months, depending on what resources are available and the extent of the children’s interest. In Phase 3 the teacher can help the children bring the project to a close by going back over the question table with the class, facilitating children’s use of their new knowledge in their play, helping them plan how to display their documentation, working with them on plans for a culminating event, and inviting families to participate. Which questions have been answered? Which findings matched the predictions? Which questions are still unanswered? What might be done to find answers? Depending on the children’s ages and interests, the teacher may want to help them contact some of their guest experts or consult books and other references to answer remaining questions or to clarify what they have misunderstood. How do wheels stick on a car? Workers pound nails in to keep the wheels there. Wheels stick to the car axle with bolts called lug bolts. No, because it can’t go around and around. It will break if you use it on a bike or even a toy. A wreath is not a wheel because it doesn’t do any work except decoration. Some people make broken bike wheels into wreaths. Table 2. The teacher can revisit the question table with the children, helping them discuss the answers they have found and how they might find answers to any remaining questions. In Table 2, the final question on whether computers have wheels inside has yet to be answered. The teacher could talk with the children about how they might find the answer. At this point, the teacher might also revisit some overall questions about the wheel project. Do some of the children seem to misunderstand anything about the topic? What might be done to address their misconceptions? Share songs (“The Wheels on the Bus”) and fingerplays about things related to wheels. Help children adapt popular games to include wheels. For example, invite them to substitute a wheel, cardboard tube, or toy truck for the ball in sidewalk bowling. Invite children to use a game spinner instead of dice to determine players’ moves in a board game. Let older preschoolers create their own active games, guessing games, card games, or board games based on what they have learned about wheels. For example, some children might enjoy planning a playground obstacle course that they can navigate with toy wheelbarrows, wagons, or shopping carts. Some older preschoolers might want to make a memory game by gluing pictures of wheels to several pairs of index cards. Provide materials for children to make large models of wheels and wheel-related machines to use during dramatic play. For example, an appliance box could be the basis for a bus or other vehicle that several children work on together, using what they have learned about steering wheels, tires, etc. Many of the children may be interested in making smaller representations of items such as clocks, scooters, or bicycles. Offer a variety of riding toys for children to play with on the playground or in the all-purpose room. Invite them to help set up an obstacle course. Show children how to play hoop-rolling games. Make available a variety of blocks, construction toys, toy race tracks or train tracks, and similar materials so children can construct and use wheel toys during pretend play. Ask the study groups, “What are some ways that you want to share what you found out about wheels?” Help them record and refer back to their ideas. Encourage children to plan displays that tell the story of their work—their questions, the places they visited, the data they collected, and what they were able to find out about wheels. Help the various study groups select drawings, photographs, three-dimensional models, and other items they have made to display. Invite children to write or dictate captions for their work. Suggest that their displays include some of the specimens and artifacts they collected, such as bike parts, tools used for making or repairing wheels, and sale flyers or catalogs depicting wheels. The subtopic groups should meet to decide what they want to do to share their new knowledge and skills with others. A key decision is whether they want to host an event when they can show others their work or, instead, plan a less-complex final activity such as making a book that families can pass around. The children can then decide how best to express and represent what they have found out during the project. Do they want to create a display of scale models of vehicles, tell a story that involves wheels, paint a mural, write poetry, make music, develop a creative movement or dance performance, put on a play in which wheels play a key role, or invite families to an event focusing on rolling a variety of objects with wheels on race courses the children construct? Remind the children of limitations, such as time and space, that might affect what they can do for culminating activities. Help the children consider factors they might otherwise forget when planning a culminating activity, such as how many cups they will need for snacks or how many chairs they will need if they are inviting guests to a performance. Serve as an advisor when the groups run into challenges. Provide the materials requested by the groups. Let the children do the work. Help the children set and stick to deadlines for completing their representations. Encourage individual children to represent something of particular interest to them. For example, the small group that found out about bike wheels might want to make a mural or multimedia collage for display, showing several kinds of bicycles. Introduce the work of local or well-known artists and artisans to inspire children to express their ideas and feelings about wheels using fine arts materials (paints, clay, wire, other media). For example, what techniques do artists use to make certain wheels look powerful or important? What might the children do if they want their wheels to look powerful? Introduce instrumental music related to wheels. Invite some of the children to invent dances or creative movement pieces about wheels, based on the music. Share picture books with the children that include poetry and fantasy stories depicting wheels. 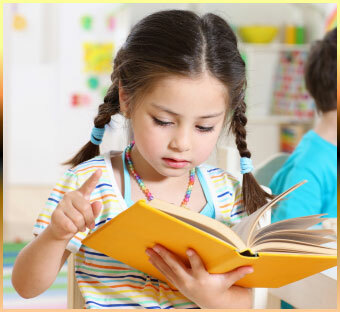 Suggest that children act out some of the poetry and fantasy stories for classmates or for visitors. Encourage children to invent wheel-related sound effects to go with those stories. Invite children to make up poetry or original stories related to wheels. Let children create notes inviting family members to view their displays. Encourage them to decorate their notes with designs that involve wheels. Display photos, sketches, or models made by family members along with items the children have created. Let families take turns borrowing a book the children have made about the project. Provide volunteer opportunities for family members during the culminating activities, such as supervising while children and their guests roll a variety of discs and cylinders down an incline. Invite parents to reflect on their children’s participation in the “Wheels” project. For example, provide “comment cards” next to different parts of the children’s display. This Project Guide is intended to suggest possibilities, to support the teacher who is looking for ways to get started with a project related to wheels, or to help maintain momentum once an investigation is under way. It helps to remember that the children are likely to find many worthwhile ways to investigate wheels. In fact, as children pursue what interests them, they may take the project in directions very different from what the teacher originally expected. “Wheels” could become just a small part of some other topic that engages the minds of many children in the class. Thanks to the following Illinois photographers who contributed work to the “Wheels Are All Around” slide show: Durango Mendoza, Russell Smith, William Durango Lafontaine, Scarlett Marie Mendoza, Lola Colleen Mendoza, and Ava Grace Mendoza. Thanks to Nora Love, University Primary School head teacher, for reviewing this document. Illinois locations depicted in the slide show include Cantigny Park, Wheaton; Museum of the Grand Prairie, Mahomet; Illinois State Fairgrounds, Springfield; and places in and near Champaign, Urbana, and Chicago. The following table suggests some of the benchmarks from the 2013 Illinois Early Learning and Development Standards that are likely to be addressed during a project on wheels. children participate in making the topic web. small groups and individuals report their findings. children comment on classmates’ findings. children contribute to discussion of what to do for a culminating activity. children make comments or ask questions during discussions about wheels throughout the project. children dictate labels or captions for their drawings and other representations. children dictate questions that they want to ask guest experts. children explain their findings to others. children write/dictate invitations or thank-you notes to guest experts and other adults. children negotiate roles during dramatic play that is related to what they are learning about wheels. children help to create a topic web as a class. in small groups, children decide what they want to find out about their subtopic and where to get information. children talk or correspond with experts on the topic of wheels. children discuss books and other resources about wheels with classmates and teachers. children help to plan a culminating activity. children report to the class about what they have done and found during field work, answering questions from classmates and teachers to clarify what they have said. children develop a list of their questions about wheels. children plan questions they will ask guest experts. children create surveys of classmates, family members, and others. children question each other about their findings. children ask about and begin to use specialized vocabulary related to wheels that they hear during field work. children accurately use new vocabulary related to wheels in their conversations, questioning, labeling, dictations, dramatic play, and representations of what they have learned. children use books to find information about wheels. children create books to report what they have learned about wheels, and share the books with classmates and others. children create books that include their original stories or poems related to wheels and share the books with classmates and others. children use reference works, magazines, informational books, advertisements, and the Internet to find answers to questions. children listen to and tell stories that involve wheels. children look at diagrams, instruction sheets, and schematic drawings related to wheels. children find printed words, numerals, etc., on the objects they are studying, such as tires, gears, or tools. children make their own books, diagrams, etc. children sing songs related to wheels. children discuss the various ways that artists depict wheels in books, paintings, drawings, sculpture, etc. children illustrate their own books involving wheels. children use nonfiction books as sources of information about wheels. children predict possible answers to a question. children respond to an opinion question on a survey (“Do you like to ride tricycles?”) by writing their names. children dictate labels or captions for field drawings and photographs. children write or dictate what they have found out during field work. small groups report to the class about what they have observed or found out, using their drawings as visual aids. children tell what happened during a site visit, interview, or experiment by drawing, writing, and/or dictating to an adult. in large or small groups, children discuss what they want to find out about wheels. children follow up on their own questions during field work. children actively investigate many aspects of wheels. children share information with classmates and others in a variety of ways. children use newly acquired knowledge when they illustrate, dictate, or write their findings and ideas throughout the project. children help create displays of their work for parents and others to see. children count key features of an object they observe, such as the number of wheels on a wheelchair or the number of lug nuts on a car wheel. children count items they will need for their representations, such as Lego wheels to make a truck or pipe cleaners to make spokes. children count out items to be used in displays, such as photographs, drawings, and artifacts. children create models or other representations that include correct numbers of parts, such as teeth on a gear or the number of tires on a tractor. children describe the size of an object in relation to their bodies (“The tractor tire is taller than Ramon.” “The steering wheel is as big as my head.”). children use terms such as “how wide,” “how far apart,” and “how high” when discussing wheels. children describe or discuss differences and similarities in height and weight of various wheels and tires they have seen during field work. children “race” small cars or other objects down inclines to see which ones reach a finish line first, second, etc. children create a time line or storyboard showing the sequence of steps in removing a flat tire. children investigate a teaching clock to see how the gears and hands work. children use counting or a stopwatch to see how long they can keep a hoop rolling. children keep to a schedule for completing their representations of what they have found out. children help to plan, prepare, and host a culminating activity. children and teachers use rulers and tape measures to measure diameters of various wheels. children discuss or make drawings that show the ways various wheels or tires are similar to and different from each other. children sort collected items such as lug nuts, gears, and tools related to wheels when making real graphs, Venn diagrams, etc. children use words such as large/small, round/flat, and more/fewer when discussing wheels and related items they have observed. children sketch and compare patterns in tire tracks. children discuss and describe shapes of various wheels and related items. children view and draw wheels from the side, from the back, and from the top. children “race” wheeled items on a ramp to see how far they roll after reaching the bottom or which ones reach the bottom first. children say what they would like to find out about wheels. children talk about potential ways to find the information they need. children closely study various wheels or related objects, noticing textures, odors, sounds, and visible properties (size, patterns, colors, etc.). children use a variety of methods to collect information, including observation, counting, measurement, and experimenting. children collect and study artifacts and specimens related to wheels. children interview experts about various kinds of wheels. children take surveys of peers and family members on topics related to wheels (e.g., “Did you ever change a bike tire?” or “Do you have a chair with wheels?”). children use objects they have collected as examples when they report findings. children collaborate to make graphs, charts, or Venn diagrams using information related to wheels. children make accurate and detailed pictures or models of individual wheels, gears, vehicles with wheels, etc. children organize drawings, photos, and other documentation to tell the story of their investigation of wheels. children predict possible answers to some of their questions about wheels. children speculate about possible outcomes of an exploration, experiment, or survey. children check their findings against their predictions. children ask “what,” “how,” “when,” or “why” questions or state what they want to find out. children find solutions to challenges throughout the project, individually or with others. children design explorations and experiments to answer specific questions related to wheels (e.g., “What does this tire look like when you look through a magnifier?” or “How do you stop a wheel when it’s rolling?”). children use a variety of media to create representations of what they have seen or learned during the project. children create items (cars from boxes and junk, railroad track from blocks) for their dramatic play. children carry out the explorations and experiments and share their findings with classmates. children take notes and make sketches during field work, which they use to report findings to classmates. children notice and discuss differences in their findings (e.g., “The wheels on a car and a truck have lug nuts. The wheels on our wagon don’t.”). children help to create displays showing what they have found out about wheels. children revisit their initial questions and predictions to discuss how their understandings about wheels have changed. children discuss and think about what they especially want others, such as parents or another class, to know about their investigation of wheels. children bring ideas and information about wheels into their dramatic play (e.g., creating a tire shop or creating a clock with hands that turn). children decide on formats (murals, booklets, videos, open houses) to use for sharing what they have found out with others. children summarize their knowledge and understandings about wheels in ways that are accessible to others (a list, a display of models with explanatory notes). children discuss how they can tell that something is (or is not) a wheel. children talk with each other about how wheels stay on various objects (cars, furniture, tricycles, wheel toys). children explore and discuss materials used to make wheels. children experiment with making inclines of varying steepness for rolling hoops, cylinders, or wheel toys. children explore what happens when they roll wheels on a variety of surfaces, such as tabletops, sand, gravel, and ice. children explore ways of making rolling objects stop. children test the strength and durability of various materials (cardboard, wood, etc.) when making models of wheels, vehicles, or tools related to wheels. children test the holding power of glue or fasteners they use when making models of things related to wheels. children use magnifiers and binoculars to examine various wheels. children use string, tape measures, unit cubes, etc., to measure various wheels. children weigh wheels, wheel hardware, and tools using balance scales, spring scales, etc. children learn the uses of wheel-related tools, such as wrenches and jacks. children see how engineers and others use specific wheel-related technology such as tire pressure gauges and truing stands. children use digital cameras to record data about wheels. with adult help or independently, children use computers to find and record information about wheels. children vote or reach consensus about how to present what they have learned to others. children do research individually and with others to answer their questions about wheels. children share information with classmates with words, drawings, models, etc. children plan and create displays to share their information about wheels with others. children interview people (bus drivers, car or bike repair workers, potters, people in the building trades, etc.) whose work involves wheels. children examine tools and equipment related to wheels (potter’s wheels, wheelbarrows, can openers, analog clocks, etc.) used by people in a wide range of jobs. children report what they have learned from people whose work involves wheels. during dramatic play, children take roles of people whose work involves wheels. children investigate prices of various wheels, vehicles, wheel toys, and wheel-related tools and equipment. children find out the cost of changing a tire, repairing a wheel, etc. children report to others about what they have learned during fieldwork. children dictate the story of a site visit or interaction with a visiting expert. children create a timeline (with adult help) to show the steps involved in their field work. children bring ideas from their field work into dramatic play involving wheels. children are able to find specific objects with wheels on the playground, in the classroom, in the neighborhood, and at home. children can differentiate among the jobs people do that involve wheels. children take surveys of classmates, family members, and neighbors about experiences and habits related to wheels (e.g., “Do you have a chair with wheels?” or “How many wheels do you think a car has?”). children take a variety of roles in dramatic play related to wheels. children do activities with their families related to the project, such as a survey, then report their findings and experiences to classmates. children investigate riding toys and other wheel toys by playing with them on the playground and in the classroom. children use pencils, pens, markers, or crayons to make observational sketches and drawings. children explore the use of protractors, stencils, and safety compasses when drawing wheels and objects with wheels. children make signs, etc., for dramatic play related to wheels, such as a sign that says BIKE SHOP. children play with riding toys such as kick scooters, trikes, wagons, and pedal cars. children demonstrate how to use particular tools related to wheels. children wear sun protection and proper clothing when doing outdoor fieldwork. children follow rules when using riding equipment (scooters, trikes, etc.). children talk with experts about wheel-related safety procedures. children observe and discuss which parts of their bodies are involved in activities such as roller skating, riding a trike, or pulling a wagon. children choreograph or participate in creative movement activities, such as pretending to be a fan or incorporating wheel toys or chairs with wheels into dance moves. children create or have roles in dramatic performances (skits, puppet shows) related to wheels. children use simple instruments to create musical compositions related to what they have learned about wheels. children use a variety of visual media (painting, photography, videography, sculpture, etc.) to represent what they have learned about wheels. children use roller brushes, cardboard tubes, and other cylinders when painting. children discuss the creative processes (making models, painting, dramatics, music-making, etc.) involved in representing what they have learned. children constructively respond to classmates’ creative efforts. children talk about the ways that various artists depict wheels in their work. children use a variety of visual materials to express their ideas, feelings, and new understandings about wheels. children use creative movement, drama, and music to express ideas, feelings, and understandings about wheels. children participate willingly in a variety of activities related to the project. children involve their families in some activities, such as drawing at home or answering a survey question. children persevere when faced with challenges when creating models and other representations. as needed, children try multiple approaches to a task, such as explaining an idea, making a graph, or carrying out an experiment. children involve their families in activities related to wheels, such as counting how many wheels they see during a walk. children develop surveys and ask classmates, teachers, and family members to participate. children ask classmates questions or respond to questions from classmates during group discussion. in small groups, children plan ways to investigate wheels. children collaborate with peers to make models, create displays, write books, etc. with peers, children play games or engage in dramatic play related to wheels. children make and/or play table games that involve spinners. children’s play with classmates involves wheels toys or other objects with wheels.